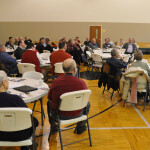 Bishop Phil Whipple explaining the proposals which will come before the National Conference this summer. 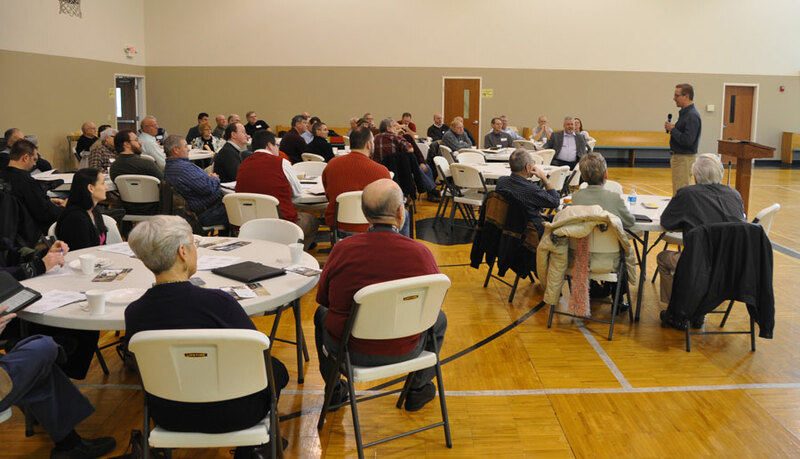 On February 25, the second of four regional meetings was held in Willshire, Ohio, with 52 people attending. 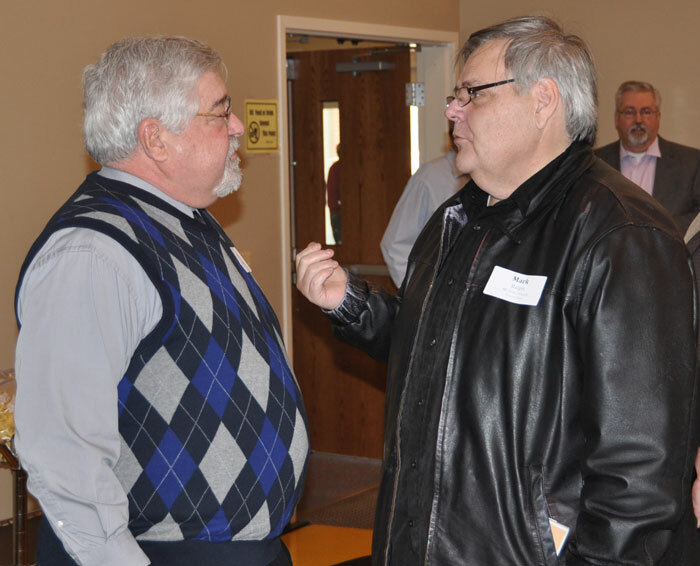 Bishop Phil Whipple led everyone through the 27 proposals for changing the United Brethren Discipline which the National Conference will consider in June. 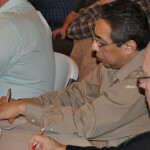 As a result of suggestions and discussion at that meeting, the bishop made six changes to the proposals (and a couple other ideas are being considered). The complete document containing the proposals has been updated, and can be downloaded from the National Conference website. 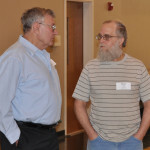 Two more meetings will be held–one in March in eastern Ohio, and one in April in Michigan. These meetings are open to anyone. 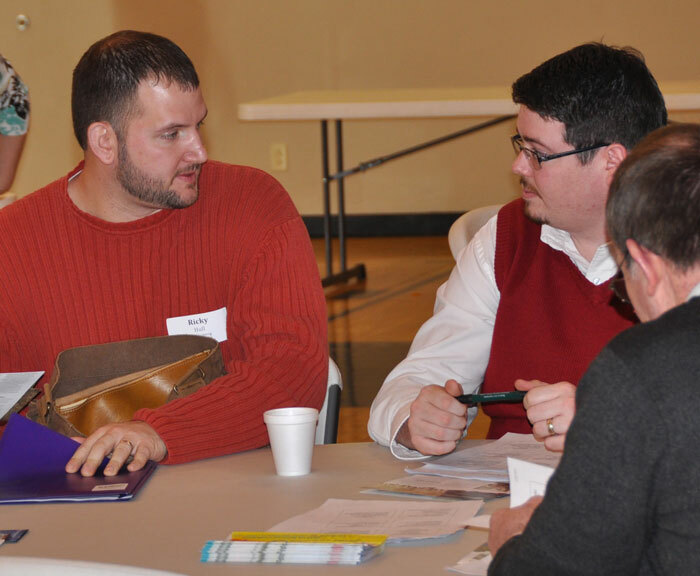 Ministers and lay delegates are especially encouraged to attend. 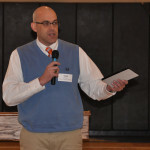 Todd Fetters, Director of National Church Ministries. 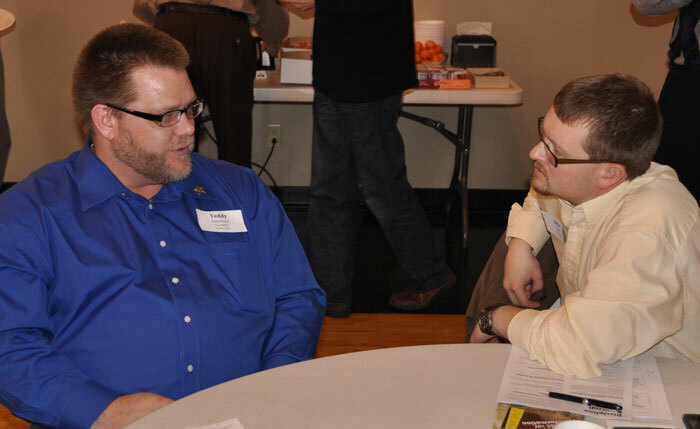 Gary Gates, Director of Ministerial Licensing. 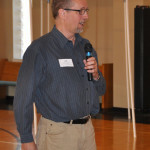 Jeff Bleijerveld, Director of Global Ministries. Please Register in Advance! We need to give the host churches a headcount for lunch. The meetings go from 9:30 am through lunch (which is free). 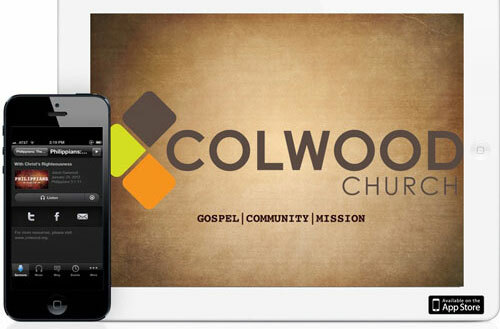 Colwood UB church (Caro, Mich.) recently launched its own official Colwood Church app! It is available for download in the Apple App Store for the iPhone and iPad, and is also available for Android devices. It’s a free download. You can read more about it on the Colwood website. 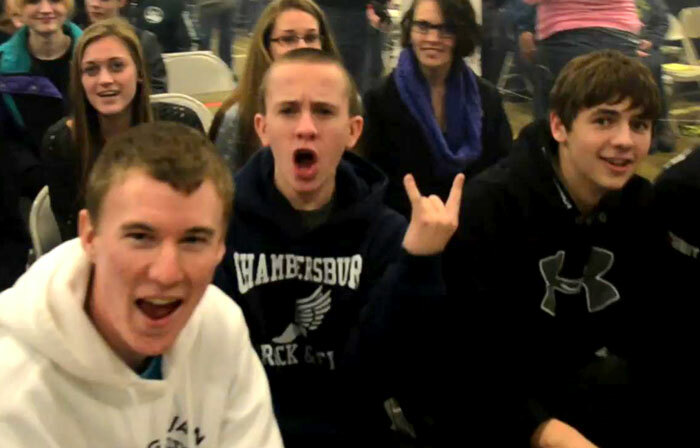 Winter Slam, held February 8-10, 2013, brought 359 students and youth workers from 15 different churches to western Pennsylvania. There, on the slopes of Pennsylvania’s Laurel Highlands on the western Appalachian Mountain range, they spent three days in a time of winter fun and spiritual renewal. 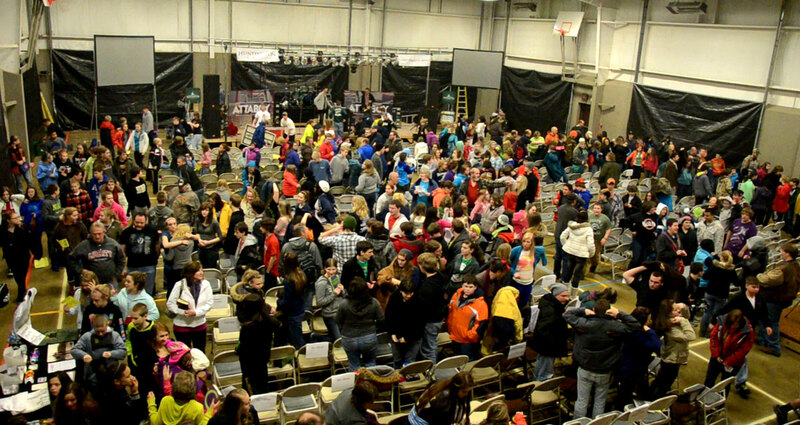 Sponsored by Big MAC Youth Ministries in conjunction with Huntington University, Winter Slam (formally Big MAC Ski Attack), a weekend winter retreat, has been an annual youth attraction for over 20 years. 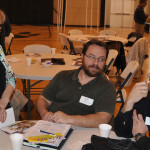 Various churches, both in and out of UBdom, use it as an outreach and spiritual renewal event. 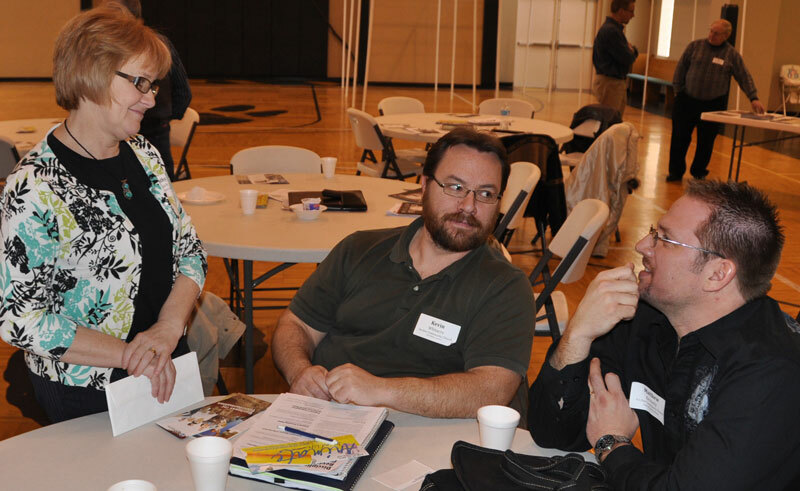 Located about 45 miles southeast of Pittsburgh, Laurelville Mennonite Church Center, in Mt. Pleasant, Pa., has served as the venue for three days of worship, fellowship, and the presentation of the Gospel–not to mention skiing, tubing, and snowboarding. For most, the messages during the morning and evening sessions are a highlight in the lives of students. This year, our times of worship were led by the Indiana-based Christian pop-rock band, “Attaboy.” Their combination of popular worship music and a few of their own original recordings were well received by both students and youth workers. Together, with over 350 voices rising in praise and adoration, these three young men poured both their hearts and their talent into their music and their worship. The organizers took a different approach this year in regards to the speaker. Rather than bring in one speaker for all four sessions, four different youth pastors affiliated with Big MAC Youth Ministries filled the role of “speaker,” each using their own unique approach to the subject of “Value.” Each message touched on how much God values us and how it makes no difference how non-valuable you think you are, to God you are very important. 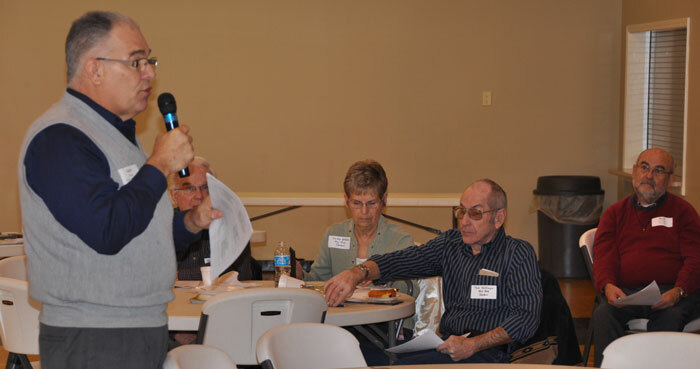 The speakers also challenged the group about the things they value, and whether or not Christ is high on that list. One evening as a call to respond to God was given, over 200 students and adults made a literal stand for Jesus, rising to their feet and proclaiming before God and others that they were turning their lives over to Christ, or rededicating their lives to Him. Praise God! 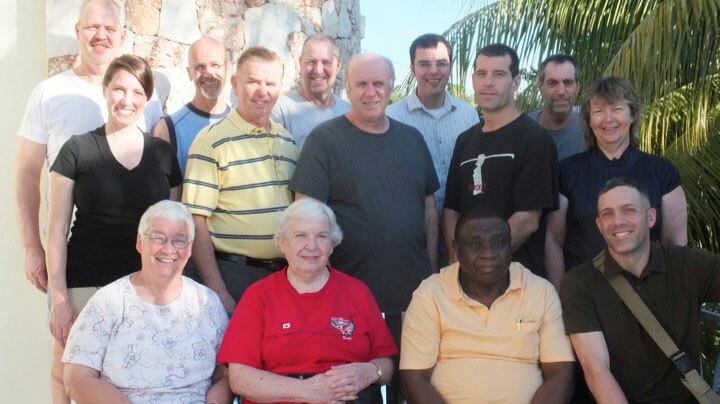 The UB Church in Canada sent two teams, back to back, to Haiti in early 2013. Their stories have been published already, but now a number of photos have been added. The first team worked mostly on construction issues (read their story here). The second team held medical clinics (you can read their story here). 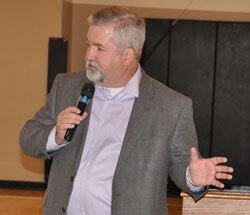 Todd Fetters, Director of National Ministries, got the morning started with a devotional. Bishop Phil Whipple led people through the nearly 30 proposals for revising the Discipline. 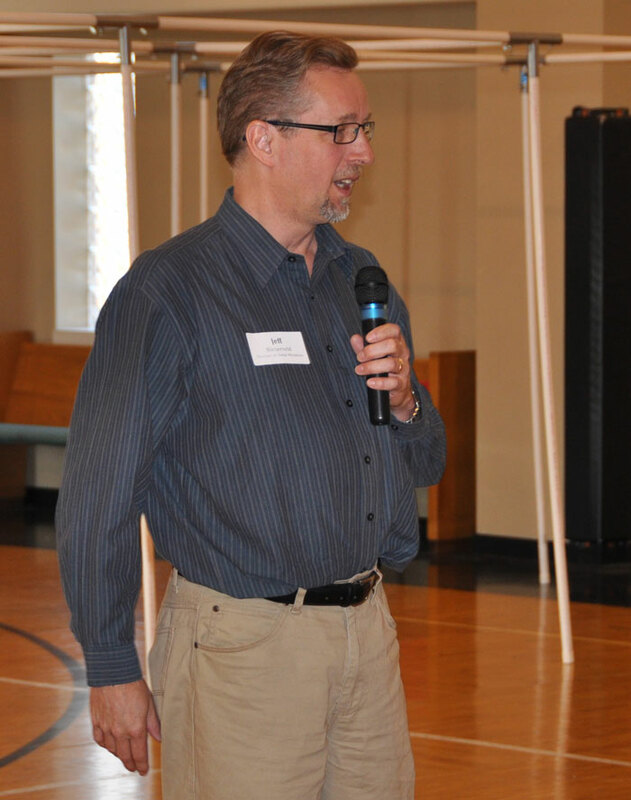 Gary Gates, director of Ministerial Licensing, gave an update on some licensing issues. 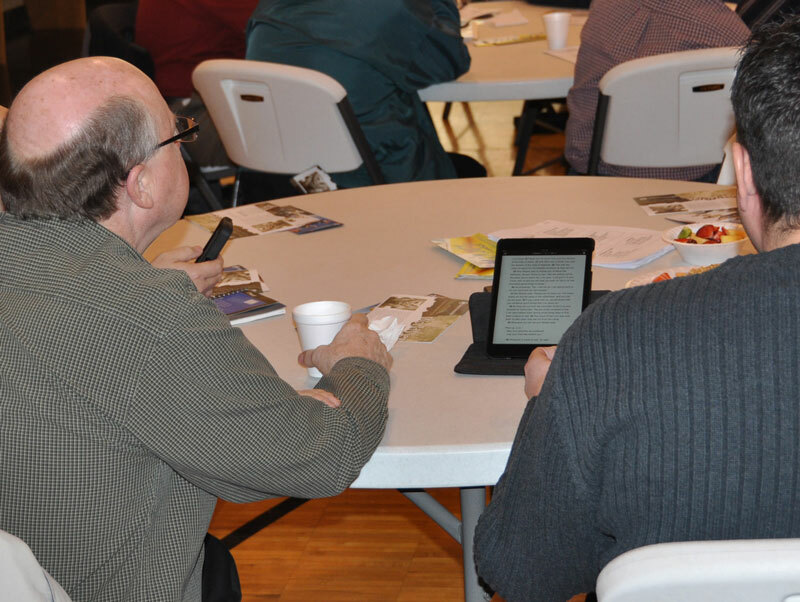 On Monday morning, February 25, 2013, Praise Point UB church (Willshire, Ohio) hosted a regional meeting attended by 52 people. 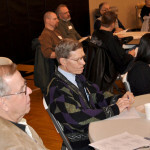 The event was designed primarily to provide a preview of proposals which will come before the US National Conference in June 2013. 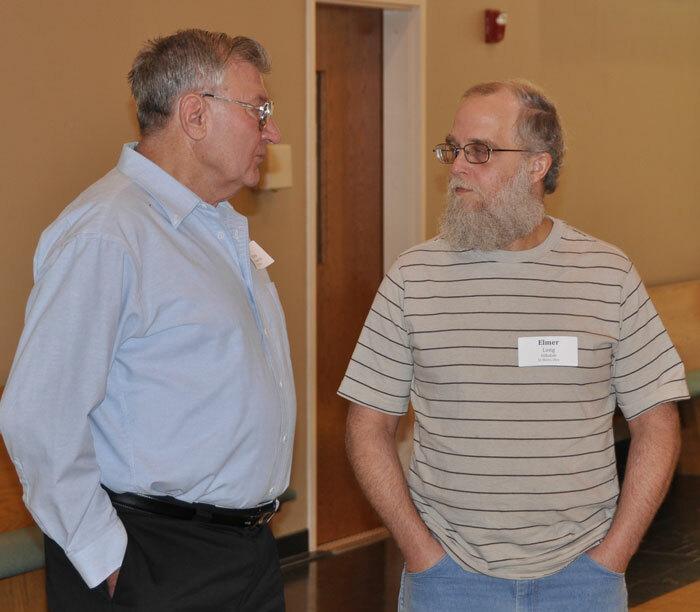 The award for coming the farthest goes to Kevin Bergdall, a layperson from Kilburn Avenue UB in Rockford, Ill. Other distant travelers came from Blissfield, Mich., Oak Harbor, Ohio, and Lancaster, Ohio. 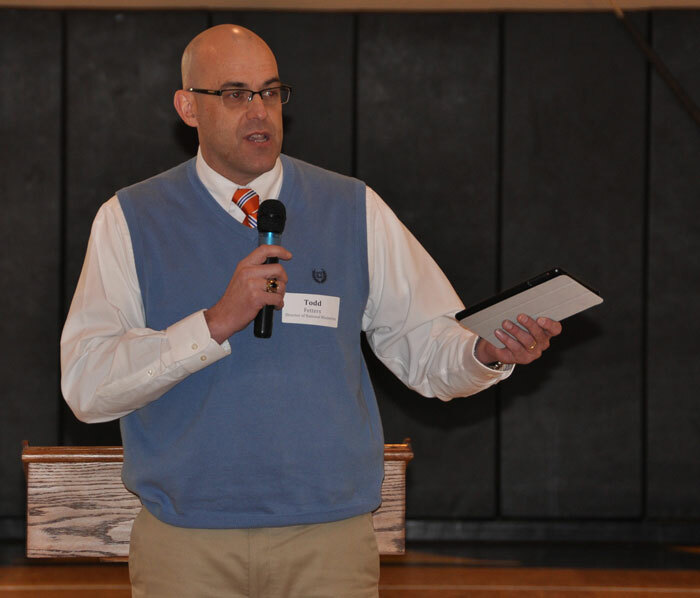 The event began with a devotional by Todd Fetters, newly hired as Director of National Ministries. 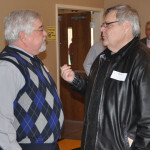 Jeff Bleijerveld, director of Global Ministries, gave an update on UB mission work around the world, and then Gary Gates, the Director of Ministerial Licensing, gave an update on some licensing issues. 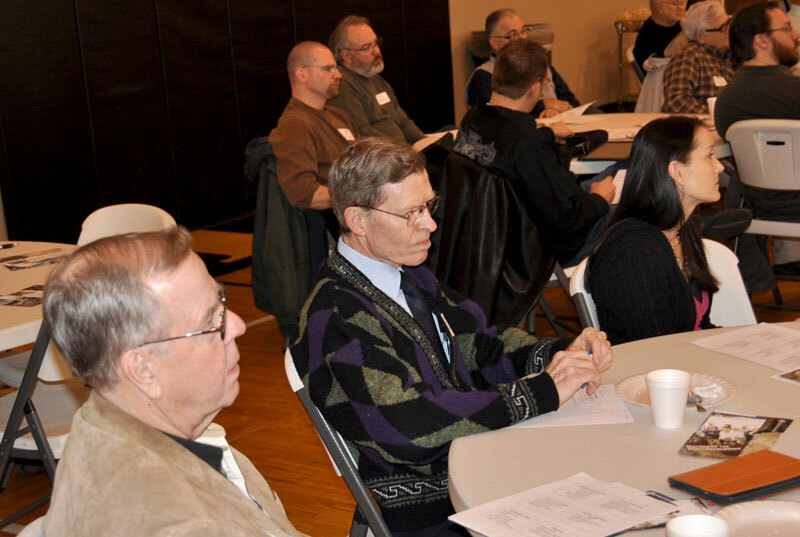 After a short break, Bishop Phil Whipple spent the rest of the morning walking everyone through the nearly 30 proposals for revising the Discipline. There was some feedback and discussion on a few issues, with some good suggestions. March 18 at Pleasant Heights UB church (East Liverpool, Ohio). April 8 at East Washington UB church (Ashley, Mich.). These meetings are open to anyone who wants to attend. 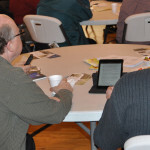 However, we ask that you register online so the host church can be given a count for lunch. Rev. 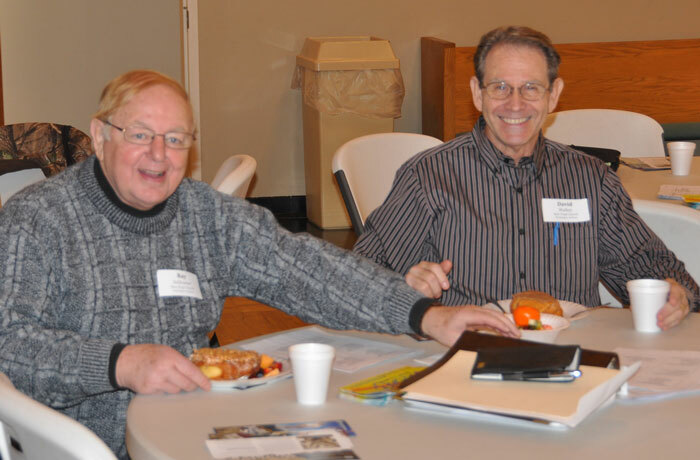 Willard Sanders (right), 96, a retired United Brethren minister, passed away February 22 at Swiss Village Retirement Community in Berne, Ind. Visitation location: Swiss Village, 1350 W Main St., Berne, IN 46711. Funeral: 11 am Tuesday, February 26, 2013. Funeral location: Hudson UB church, 516 N. Main Street, Hudson, Ind. Viewing 9:30 – 11 am. Burial will follow the funeral at the Sherwood Cemetery in Sherwood, Ohio, at 2 pm. Rev. 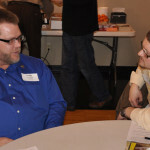 Sanders was born in Farmer, Ohio, and worked as a truck driver until age 33, when he answered the call to the ministry. He graduated from Huntington College (Huntington, Ind.) and went on to pastor the UB churches in Corunna, Ind. ; Hudson, Ind. ; and Hillsdale, Mich. He was ordained in 1958. He also served as a conference superintendent. Rev. Sanders and his wife, Rachel, were married in 1939 and moved to Swiss Village in 2004. Rachel passed away in 2010. He is survived by two daughters, two sons, 20 grandchildren, and several great- and -great-great grandchildren. Memorials shuld be made to the Swiss Village Samaritan Fund or the charity of the donor’s choice. 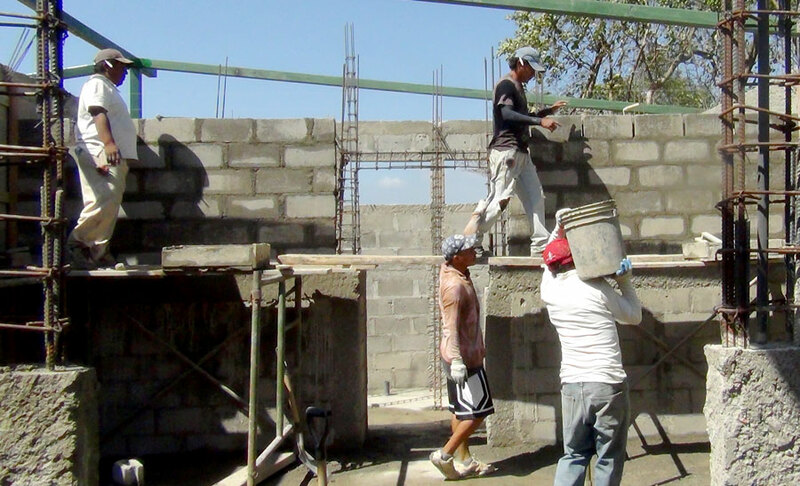 Work continues on the dormitory/training center in Masaya, Nicaragua. 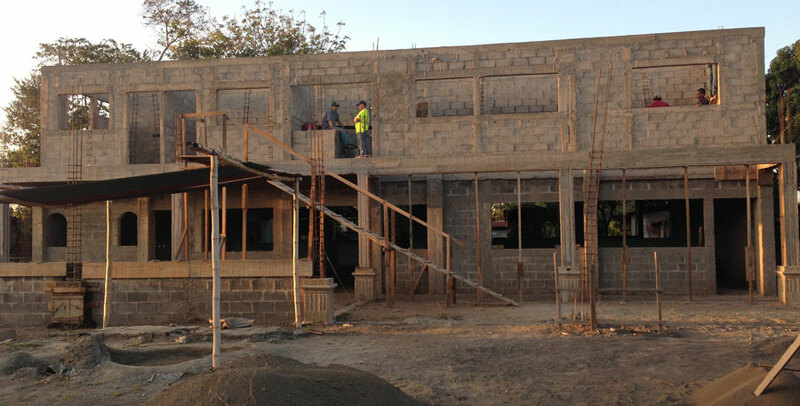 A team of 9 men traveled to Masaya, Nicaragua, to work on the conference center that is under construction. We finished much of the roof structure and the crew finished the inside walls. Next up will be smoothing the walls and installing doors and windows. There is still much to do to complete the project and get it ready for use. Each of our churches there plan to raise the funds needed to buy one or more beds for the facility. Some churches will be able to supply more. 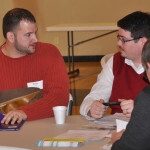 It is exciting to see this great ministry and fundraising tool take shape. Seven of us, along with Pastor Juan Pavon and Pastor Jesus Vega, then traveled to a small village on the San Juan River called El Castillo to do some fishing. It was a beautiful two-hour ride down the river to reach this incredible fishing spot. Unfortunately for us, it rained the whole day we fished. We did catch a couple of nice fish, just not the monster tarpon we had hoped for. If your church would like to become partners with Nicaragua for a trip or more, we’d love to help make that happen. 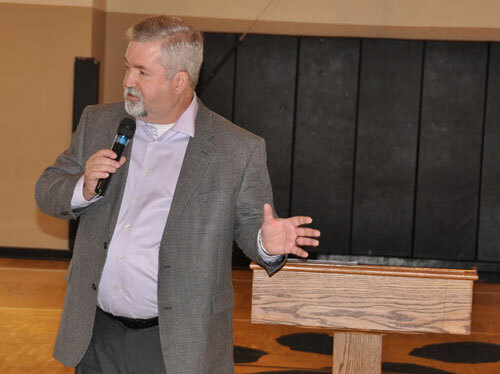 Blue Rock Church sent five people to Honduras on February 17, and three more will leave on Friday, February 22, including senior pastor Greg Helman (right). They will do repairs and maintenance at the compound in Le Ceiba and will give away various items to the poor. They will return on Saturday, March 2. 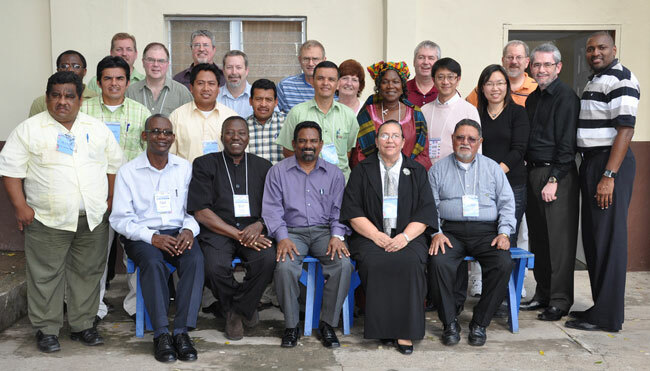 Delegates and guests who attended the 2010 General Conference in Honduras. Date: May 29 – June 2, 2013. 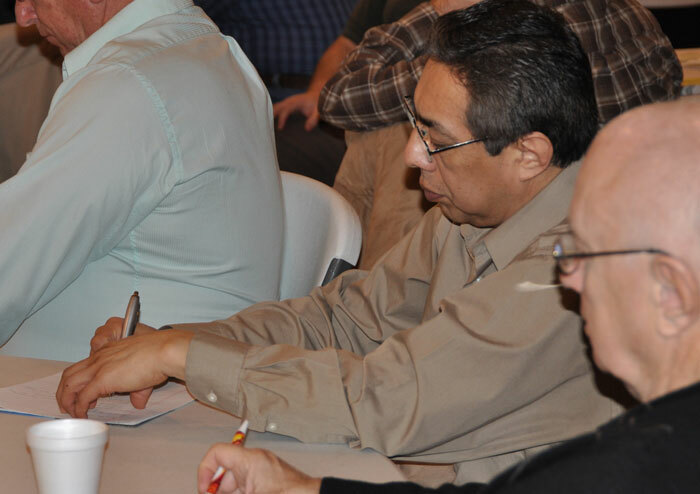 General Conference brings together representatives from all 10 United Brethren national conferences, along with guests from the various mission districts (countries which haven’t yet organized as an official national conference). General Conference meets every three years. The last event was held in La Ceiba, Honduras, in January 2010. The 2013 General will be held at the Parkwood Gardens UB church in Guelph, Ontario. 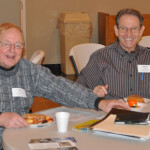 Brian Magnus (right), Bishop of the Canadian conference, is the pastor at Parkwood Gardens. He is also chairman of the International Executive Committee, and will chair the meetings of the General Conference. 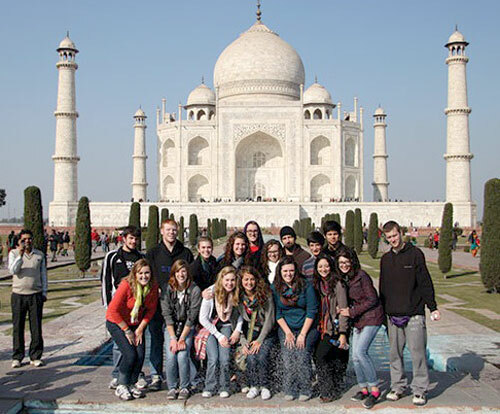 The January 2013 Huntington University group at India’s Taj Mahal. The trip ended weeks ago, but the smell of chai and the busy sounds of students still fill the Alexanders’ living room every week as they recount their J-Term trip to India. It was the second year in a row that Huntington University students made the trek to Chennai, India, to serve in an all-girls orphanage. “The trip revealed to me how blind I have been to a number of spiritual and emotional realities,” said Dr. David Alexander, assistant professor of philosophy, the trip leader. This was his first-time visit to India. From January 4-21, Alexander and his family joined14 HU students in traveling to Channai, where they led a Vacation Bible School program for the girls with drama, games, music, dance, and crafts. The team also began building a new dormitory for the girls while they were in school. The 2013 team followed in the footsteps of 15 HU students who ministered in Chennai the year before. The 2012 team held a Vacation Bible School, painted a mural, and created promotional videos for the orphanage. While they made an amazing impact on the orphanage, they did not realize the extent of how they were touched personally by the experience until they returned home. Back in the U.S., a plan was formed to raise $20,000 to build a dormitory for the 70 girls. By December 2012, the team learned that they had reached and exceeded their goal. When the 2013 team landed, ground was broken on the new dormitory. Plans are already in place to continue trips in the future. Collectively, the team described transformation and growth in their faith through their time spent with the girls at the Home of Love. All hope to return to India to continue building relationships with their global sisters and encourage others to share in the experience.